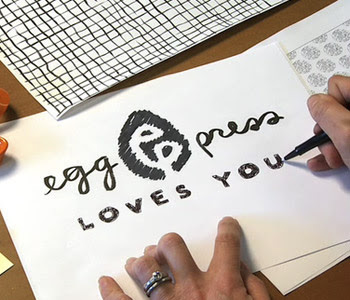 And we love Egg Press! On Paper has carried their letterpress cards for years and I had a fun few minutes to visit with them at the Stationery Show. They had a fab video at their booth which is now on their website. 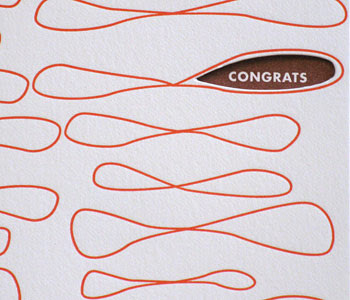 Link over to watch the video... it's a great way to see this incredible letterpress printing process at work. The video, (beautifully shot!) just reinforces our love for these old presses and keeps our heartstrings tugging for more, more, more!! !